Even though the so-called “Balkans refugee route” has been closed, the refugees are still coming to Serbia. Predominantly, the refugees enter into Serbia illegally, in many cases with the aid of smugglers. Serbian armed forces and the police, in a joint operation, have conducted several operations against human smugglers in the last 30 days. 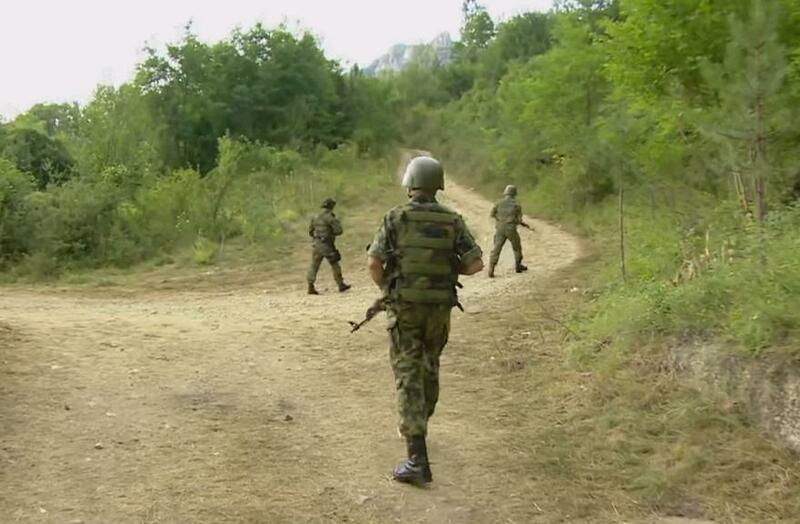 Joint patrols of the Serbian police and military on the borders with Macedonia and Bulgaria have found over 3,000 refugees who attempted to illegally enter into Serbia. According to the official of the joint operations of Military and Police forces, Jovan Krivokapić, over 25 people suspected of involvement with human smuggling were arrested during last 30 days. The officials of the joint operations noted that combating human smuggling will be Serbia’s priority. Cases against human smugglers in the town Dimitrovgrad revealed details of the illegal human smuggling routes throughout Balkans. The number of cases related to human smugglers in the Courts of Dimitrovgrad has doubled this year. According to the Serbian law, the maximal penalty for those found guilty for human smuggling is ten years in prison. However, Al Jazeera Balkans reported that so far, all those charged with thr crime of human trafficking were usually sentenced to two years in prison. Additionally, Court cases in Dimitrovgrad have revealed interesting details of the human smuggling chain which uses the “Balkan route”. According to the testimonies of refugees acquired by the Court during the hearings, the operation of human smuggling usually starts in Turkey. Court testimonies by the refugees reveal that the smuggler’s base of operation is Turkey, and almost all deals with the smugglers start in Turkey. The cost of smuggling through the “Balkans route” is in the range from $ 7,000 to $ 12,000. Refugees who testified in front of the Dimitrovgrad Court explained the details of the “Balkan smuggling route”; Turkey – Bulgaria, Bulgaria – Serbia, Serbia – Hungary, and Hungary – Austria or Germany. The final destination of the smuggler’s route is Germany or some other EU member states. The latest reports by Europol and Interpol stated that the “Balkans smuggler’s route” is a highly sophisticated organization, and a very lucrative business.